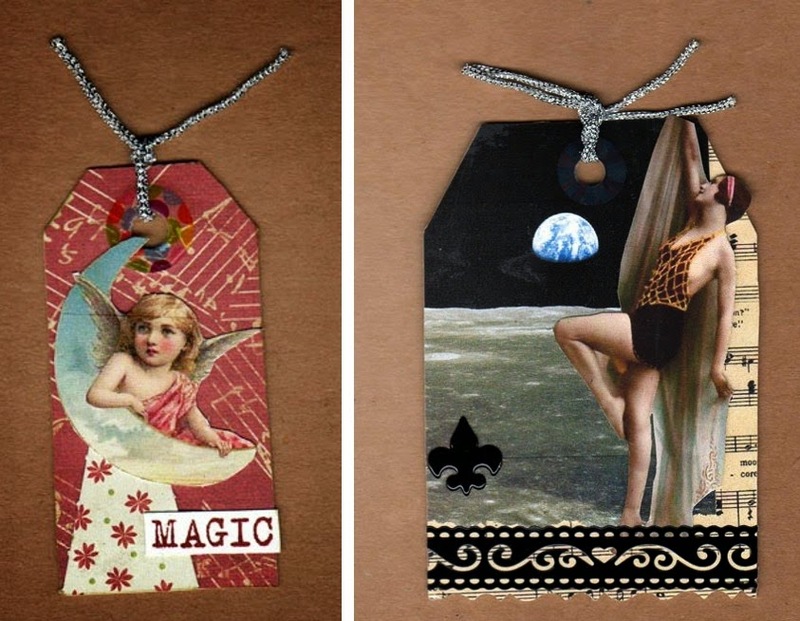 I wanted to share these two beautiful tags created by Michele Storms and featured on her blog artfromthewell.blogspot.com. Gorgeous and so magical! They both use images from Lunagirl "Celestial" digital collage sheet. The one on the right (that fabulous flapper dancer looks like she is opening a curtain to space, such an incredible tag!) also uses images from my collage sheets "Music" and "Bring On the Dancing Girls." Michele is a member of my Design Team -- so proud of my DT and their amazing work!